Here's the perfect resting place for your pup's leash or collar. 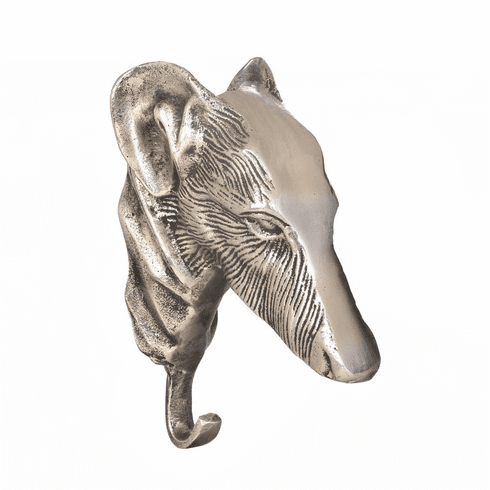 This aluminum dog head wall hook has cool details and features that will look great on your wall. Weight 0.8 pounds. 2.88" x 5.38" x 7". Aluminum. UPC Number: 849179030025.